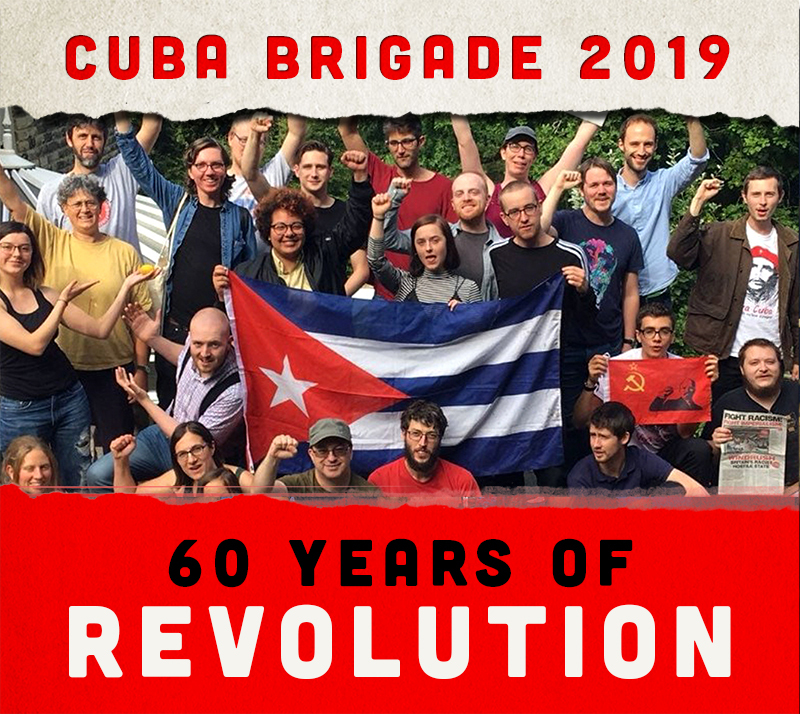 THE British Cuba Solidarity Campaign (CSC) has launched a campaign to overturn a ban on applications from Cuban students by one of the biggest educational institutions in the UK. The Open University (OU) has been exposed for operating a policy of barring applications from Cuban students, due to U.S. blockade laws against Cuba. The Open University says it is operating a “restricted countries” list in its admissions process because it fears it may be fined by the United States Treasury Department if it breaks U.S. blockade laws and allows Cuban students to study there. June 16, 2017, the President of the United States, Donald Trump, in a speech replete with hostile rhetoric which recalled the era of open confrontation with our country, announced in a Miami theater his administration's policy toward Cuba which reverses advances made these last two years, after December 17, 2014, when Presidents Raúl Castro Ruz and Barack Obama made public the decision to reestablish diplomatic relations and initiate a process toward normalization of bilateral ties. In what constitutes a setback in relations between the two countries, Trump delivered a speech and during the same event signed a policy directive entitled, " National Security Presidential Memorandum on Strengthening U.S. Policy toward Cuba," mandating the elimination of educational "people-to-people" exchanges undertaken by individuals, and greater control of U.S. travelers to Cuba, as well as the prohibition of economic, commercial, or financial transactions on the part of U.S. companies with Cuban enterprises linked to the Revolutionary Armed Forces, intelligence or security services - all of this with the intentional objective of denying us income. The U.S. President justified this policy with alleged concerns about the human rights situation in Cuba and the need to rigorously enforce blockade laws, conditioning its lifting, as well as any improvement in bilateral relations, on our country making changes elemental to our constitutional order. Trump likewise vacated the Presidential Policy Directive, "Normalization of relations between the United States and Cuba," issued by President Obama on October 14, 2016, which, although it did not attempt to hide the interventionist character of U.S. policy or the objective of advancing its interest in changes in our country's economic, political and social order, the directive recognized Cuba's independence, sovereignty, and self-determination, and the Cuban government as a legitimate, equal interlocutor, as well as the benefits that both countries and people could gain in a relationship of civilized coexistence, within the context of the great differences which exist between our two governments. It also recognized that the blockade was an obsolete policy that should be eliminated. Once again, the U.S. government resorts to the coercive methods of the past, adopting measures to tighten the blockade, in effect since February of 1962, which not only causes harm and depravation to the Cuban people and constitutes an undeniable obstacle to our economy's development, but also impacts the sovereignty and interests of other countries, generating international condemnation. Cuba holds an unchallenged first place on the Central American and Caribbean medal chart. Likewise in Latin America; second on the entire American continent; and among the top ten on the globe! The facts are readily available. Cuba is number 106 on the planet in terms of geographic area, number 18 in the Americas. Ranking its population presents no problems: Cuba's 11 million inhabitants place the country 82nd worldwide; 12th in the Americas; and fifth in Central America and the Caribbean. Cuba is likewise far down on lists of the richest nations. On the contrary we feature prominently on that of blockaded countries, subjected to continual attempts to create hunger and deprivation. In this category, we are always on the podium. Yet Cuba holds an unchallenged first place on the Central American and Caribbean medal chart. Likewise in Latin America; second on the entire American continent; and among the top ten on the globe! Since we have become so accustomed to this reality, the magnitude of what the Revolution has accomplished in sports escapes us at times. And Cuba has helped to extend sports throughout the world. Beyond its inspiring example, the country has sent a wealth of training experience abroad, and founded a school to train coaches, free of charge, to help others. The success of athletes from economically advantaged countries should come as no surprise, nor those from nations with particularly helpful characteristics like the physical traits of the population, that is different ethnic groups, isolated areas like plains, coasts, and mountains with densely populated areas. It is to be expected that they are gaining on Cuba in the medal count, and winning. What is important is competing with honor, never accepting poor results produced by deficient training, apathy, or lack of fighting spirit. The dignity of Cuban sports was evident during this last Olympic cycle. In the Vercruz 2014 Games, Cuban athletes overcame the home team, but lost second place. In the Toronto 2015 Pan Americans and the Río de Janeiro 2016 Olympic Games, our performances did not meet expectations. On April 26, the President of the Cuban Movement for Peace and Sovereignty of the Peoples (MovPaz), Silvio Platero, reiterated in Havana that the U.S. Naval Base in Guantánamo is the only one in the world which exists against the will of the people and government of the land on which it is located. This is why the island has been chosen to host the International Seminar for Peace and the Abolition of Foreign Military Bases, noted the activist speaking during a press conference regarding the fifth edition of this event, which will take place from May 4-6 in the eastern province of Guantánamo. So far, over 200 delegates from 25 countries are scheduled to attend the event, which aims to unite forces in the struggle to eliminate military bases worldwide, he noted. Platero went on to highlight that in addition to foreign military bases and their negative impact, debates will be centered on other issues such as nuclear disarmament and calls to end the interventionist policies of global powers. The MovPaz President also warned of the danger represented by the increasing number of military bases worldwide, noting that, of the over 1,000 that exist, the United States has 850 located across five continents. The final declaration of the event will be read out in the town of Caimanera, located only a few meters from the Guantánamo Naval Base maintained by the United States against the will of the Cuban people, stated Platero.